…Brits of a certain age fill in the rest! You know that after-Christmas feeling? When you long for something fresh and simple to eat? I’ve got it right now. Quite a few lovely invites have dropped into my in-box of late and some have been just too tempting to resist. Dubai has been choc-a-bloc with chefs (last weekend at the Festival of Literature and this weekend at Taste of Dubai), restaurant openings and new menus. 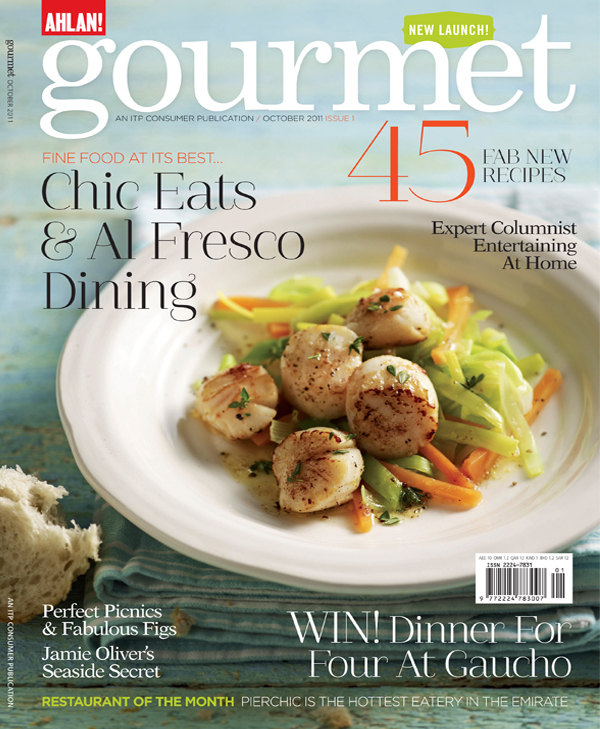 A while back, Ahlan Gourmet asked me to write about my favourite meal. I thought about some of the wonderful meals I’ve been lucky enough to experience especially since I’ve lived in Dubai and there have been plenty of luxurious foodstuffs and incredible culinary skills involved. They include a seafood banquet commencing with sushi, followed by several kinds of oysters, freshly nestled in their briny shells, both raw and ‘Rockefellered’ all accompanied by some excellent Champagne. Steak tartare with a quivering little poached quail’s egg poised on top, confit of duck with spiced, red cabbage, fresh Brixham scallops wrapped in pancetta with a spicy tomato sauce (at Jamie’s in Bath) – I’ve cleaned every morsel from my plate and longed for more. Then there is food prepared with love which seems to have a special secret ingredient added through the care involved. For me, this starts with my Mother’s roast dinner with crispy potatoes, parsnips and Mum’s gravy. Then there are my Mother-in-law’s fabulous stuffed vegetables, her blackberry and apple pie and unctuous yellow home-made custard, thick with cream and free-range egg yolks. Or my friend Wasia’s fabulous courgettes in a tomato sauce and her delicious dhal – she’s given me the recipes, which are simple, but they don’t taste the same when I make them for myself. My favourite meals of all are those spent at home with my family and here I want simple comfort food, the freshest ingredients which are local if possible. This is what I’m in need of right now as an antidote to eating out and fancy food. I find solace in the repetitive stirring action of a risotto, the chopping of herbs, the kneading of dough for bread. The comforting aromas in the kitchen are all part of the process. This bowl of pasta appeases my slight lemon addiction, refreshes with herbs and soothes with crème fraiche and cheese. A perfectly ripe mango or peach is all that is needed for dessert. Cook the pasta in a large amount of boiling water for the time stated on the packet (or until al dente). In the meantime wash, dry and chop the herbs finely and put into a large bowl with the juice of half the lemon, the finely grated lemon zest, crème fraiche, a handful of freshly grated parmesan and some black pepper. Stir to combine. When the pasta is cooked drain it reserving a couple of tablespoons of the cooking water. Return the pasta to the pan, add the cooking water, give it a good stir to loosen the strands then pour into the bowl containing the other ingredients. 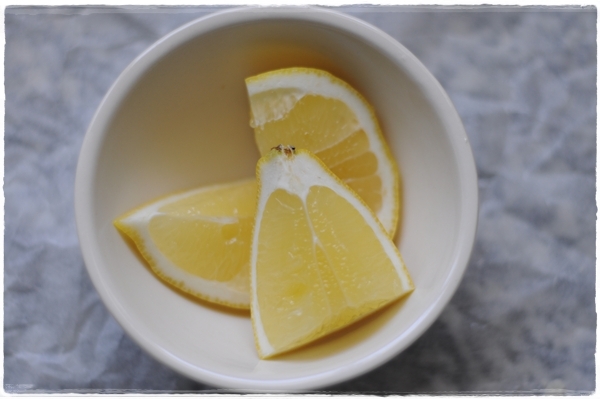 Combine, adding some sea salt and extra lemon juice if necessary. Serve garnished with some basil leaves and provide additional grated parmesan at the table. What do you crave when you’ve over-indulged? This is tonight’s meal – your post couldn’t have come at a better time Sally – sounds perfectly luscious – now I have to make it through the rest of this afternoon! Never-fail delights from my absolute favourite foodie – thanks Sally. Beautiful. So light and fresh. Delicious! Those are wonderful flavors. Perfect. Perfect for those of us craving warmer weather and sunshine. So bright and beautiful! So beautiful. For some reason, for me, it’s miso soup. I like to poach salmon in it lightly and have it with courgette ribbons, like mock noodles. Puts me back to order, every time. 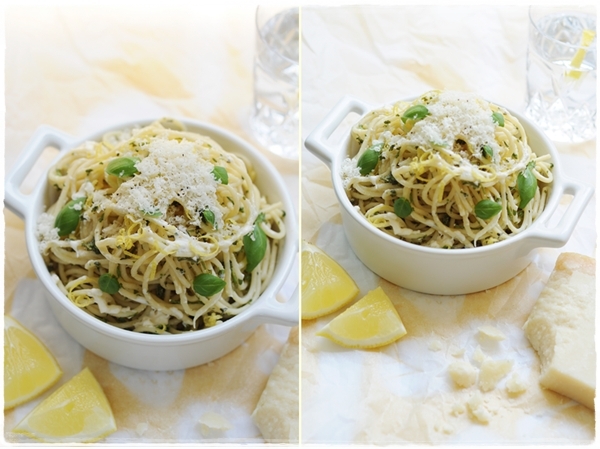 No doubt, pasta with whatever there is in the garden is my go to meal when I’m on my own…..
One of the earliest Nigella pasta recipes I tried was lemon linguine, I haven’t made it for years but you’ve reminded me how good it was. Not sure my four year old would approve though!! Summer is upon us and such a refreshing meal sits right with the mood. Sometimes the simplest dishes are the best. Pasta is definitely my cleansing meal too – in its simplest form I adore pasta with just butter and parmesan, but if I wanted to dress it up a little this would be perfect. Fantastic!! The mix of a slight sour lemon with the sweetness of pasta, and mixture of basil and mint are a blessing. And the fact that lemon, basil and mint help the digestive system to work, makes this a really wonderful light meal. Got it give it a try as soon as get some basil growing. It is that fresh combination of flavours that does the trick for me. Mint tea is my antidote to indulgence. Made with green tea, crushed mint leaves, cloves and sugar……heavenly and light. This pasta looks wonderful. Cloves in mint tea – that’s a new one on me. I like mint tea but usually just reach for a tea-bag. Sally, what a beautiful, simple recipe! It sounds refreshing just to read. I think it would make the perfect light supper, especially after a few nights of heavy eating out! This is such a great dish! I’m not a mint fan so I left that out and added a little extra basil and parsley. I threw some sliced cherry tomatoes in there too. It turned out to be delicious. Thanks for the recipe! The key is the herbs have to be fresh so it’s great to use what you have at hand. Glad you liked it. Your photos are amazing. I could almost dive into the computer! Actually this recipe woke really suit any goddess on a budget .. it is a super simple delicious dish Sally. I crave miso, green vegetables and sea vegetables. Sea vegetables – that’s intriguing. This looks and sounds so very delicious! Bookmarked for future making. And yes, sometimes it’s nice to take a break from all the fancy restaurant meals and have something simple and grounding like pasta (though right now I’d have to say my life doesn’t have nearly enough restaurant meals! ).